Our base package provides everything you need for your wedding day! When you book your wedding photography with Infokus, we have one priority…… YOU! • To deliver to you perfection in your wedding photography. We like to spend quality time with you two weeks before your wedding day, going over every detail of your wedding shoot. This provides you with an uninterrupted opportunity to focus exclusively on your wedding, without any distractions. This guarantees that we have everything we need, including any last minute changes, to allow you pursue and achieve an exclusively, creative and accurate record of the most important day of your lives. Your private online gallery, will host the complete unique story of your wedding. 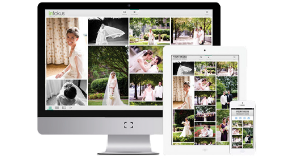 Housing up to three hundred photographs, your gallery will give you the opportunity to view the complete record of your wedding day, from anywhere and at any time. You can also share this link with members of your family and friends wherever in the world they may be. 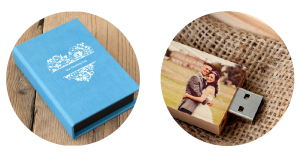 Stored in a personalised, charmingly designed presentation case is your very own USB memory stick hosting a complete copy of your wedding day. Approximately three hundred high resolution images are stored here, ready to be accessed by you for the purposes of designing your own alternative album or for compiling and distributing as framed wedding gifts for your loved ones. We at Infokus understand that in times to come, your Principle Wedding Album (approx. fifty pages) will probably become the most important and most viewed record of your wedding day. It is not simply a case of choosing the best photographs. We believe that regardless of time, the album should evoke emotions of joy, love, and contentment, whether you view it, a month, a year or ten years after the event. When you choose your album with us, we allot considerable time to selecting the flow and highlights of what is essentially a photographic storybook that echoes the most important day of your life. Rest assured that we consult with you at every turn as we develop your album. It is after all, ‘YOUR WEDDING STORYBOOK’. Your wedding album and framed portrait will last a lifetime and longer, becoming precious family heirlooms to pass down through generations. Our superior finish assures you of an enduring visual memory of your breath-taking wedding day. 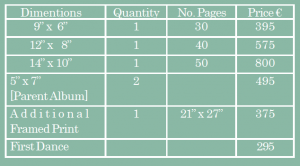 With budgets to suit, the album is available in the wide range of sizes.